Mere Yaar Lyrics by Kulwinder Billa is a brand new Punjabi song sung by him. Its music is composed by the music composer Desi Routz and lyrics are written by song writer Shivjot. 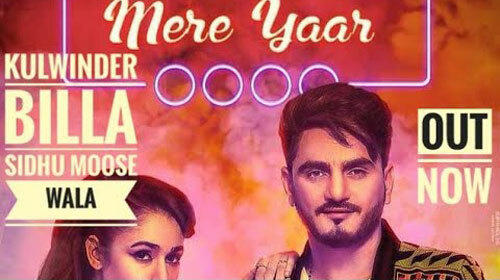 If you find any mistake in lyrics of MERE YAAR LYRICS – Kulwinder Billa song please let us know in comments.